They are the largest species of river dolphin, with males reaching as much as 185 kg (408 lb) in weight, and averaging 2 m (6.5 ft) in length. 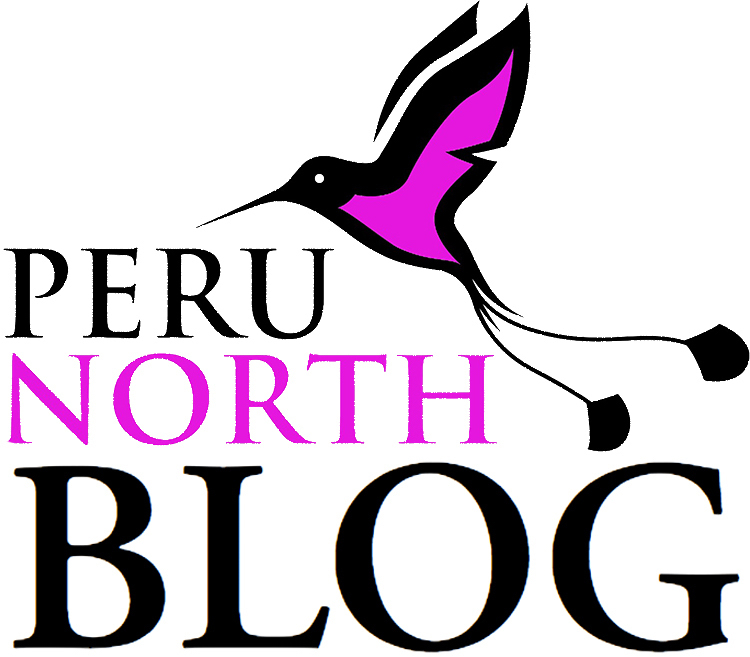 They can be found in the Amazon and Orinoco River basins in Brazil, Bolivia, Colombia, Ecuador, Guyana and Venezuela ... as well as northern Peru. 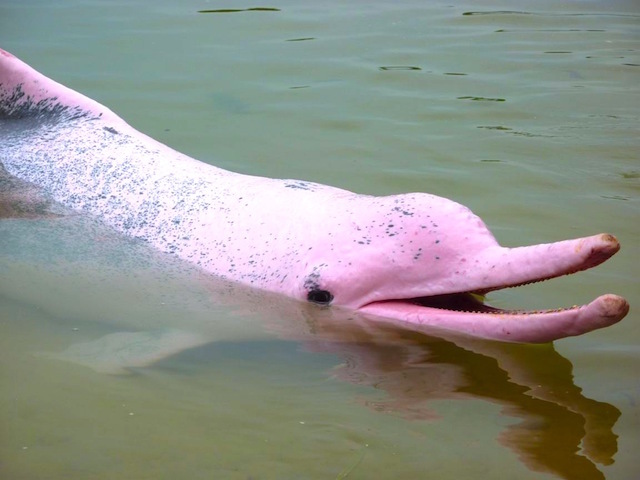 Also known as Pink River Dolphins, in reference to their colouring, they actually come in a variety of shades, from a dull grey-pink to a bright flamingo-like pink. This colour variation depends on the clarity of the water in which the dolphin lives: the sun's rays causes loss of the dolphin's pink pigmentation ... so the darker the water, the pinker the dolphin. Amazon River dolphins are able to turn their necks from side to side, which most species of dolphin cannot. They can paddle forward with one flipper, while paddling backwards with the other. The dorsal fin is short and long; the pectoral fins are large. These anatomical attributes provide improved manoeuvrability, which is particularly important when chasing prey through flooded forest during the Amazon high water season. Molar-like teeth allow prey to be chewed. Bristle-like hairs at the ends of their snouts help them search for food on muddy river bottoms. They have a wide diet which includes over 50 different species of fish, such as croakers, catfish, tetras and piranhas, as well as small river turtles and freshwater crabs. Unusually for dolphin species, the male is markedly larger than the female. There is uncertainty about Amazon River Dolphin populations, given the remoteness of much of their habitat range, but it is certain that they face threats to their survival from hunting, pollution, habitat loss, decrease in food sources, and entanglement in fishing lines and nets. This is despite the fact that dolphins have traditionally been thought by the inhabitants of the Amazon region to have magical powers, and so it was considered unlucky to kill one. A number of legends have grown up around the Amazon River Dolphin. If you make eye contact with one, you will have lifelong nightmares. The dolphin is the guardian of the Amazonian manatee, and so to find a manatee, you have to first make peace with a dolphin. At night, a male dolphin can turn into a handsome, young fisherman who seduces and impregnates girls, before returning to the river in the morning to resume his dolphin form. Similarly, a female dolphin can turn into a beautiful, well-dressed, young woman who seduces married men and then places a baby in the womb of the man's wife. On a number of Amazon River cruise and Amazon Lodge itineraries, you may have the unique chance to swim with - or rather, near - these legendary aquatic creatures, in an area of calm water. On these occasions, it is strongly advised not to approach or attempt to touch them. However, being naturally inquisitive, they may approach you, in which case it is best to stay calm and avoid sudden movements that may scare the dolphins away. Your local, naturalist guide will give you all the directions and assistance you need ... and the day you swam with Amazon River Dolphins is sure to be a lifelong memory! Get in touch, if you want to make it happen.